blue jeans for a business dress and your barn boots for high heels. One of the coolest parts of being a dairy farmer is that I get to wear many different hats. Being a farmer means I'm also an educator, an advocate, and a community volunteer. And, every once in a while, I get to be a lobbyist. My team with Congressman Collin Peterson. 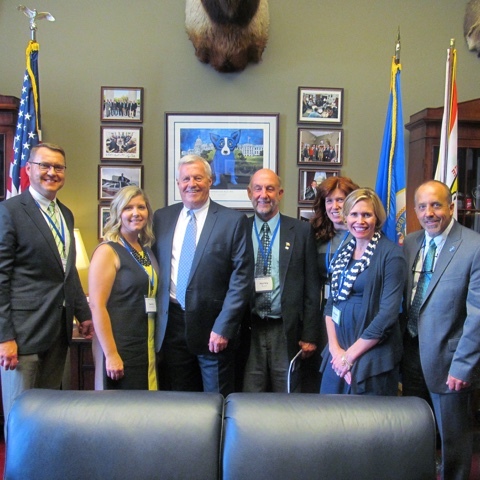 I spent most of last week in Washington, D.C. with a group of farmer-owners and employees from my cooperative – Land O'Lakes. This was my fourth trip to our nation's capitol to meet with legislators and it was every bit as meaningful as each of my previous visits. It was also every bit as important. Why do dairy farmers lobby? For me, it's important to make time for lobbying because I believe legislators need to know the farmers who will be affected by the issues that come before congress. Legislators need first-hand examples of how proposed policies will impact farms, families, and small businesses. Even when there aren't pressing issues to discuss, I believe it's important to maintain relationships with my elected leaders so that when a dairy-related issue does come up, they have a constituent to turn to for input. Spending time on Capitol Hill also gives me an opportunity to learn. My cooperative's staff does a good job briefing us on where each particular issue is in the legislative process. Because, honestly, when I'm at home, I'm focused on the needs and issues of my family and farm. It's pretty hard for me to keep up with everything that's happening in politics (and the rest of the world). When I can get away for a few days, it's a lot easier to focus on what's going on in the world. On this trip, we also heard from Ambassador Darci Vetter, who is the Chief Agricultural Negotiator in the Office of the United States Trade Representative. It was incredible to hear a farm-girl from Nebraska explain her role in negotiating foreign trade agreements. 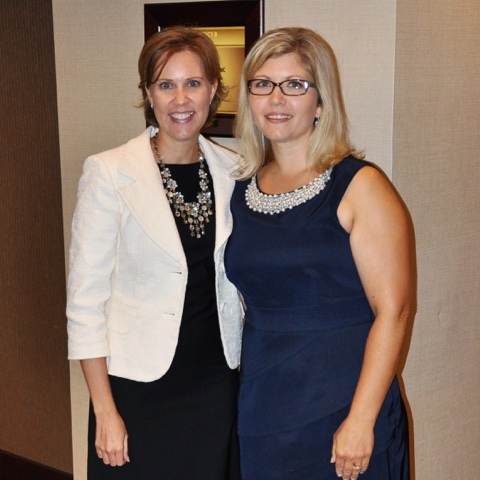 With Ambassador Darci Vetter after the trade briefing. What issues do dairy farmers lobby for? That was the question from the gentleman sitting next to me on my flight to D.C. The short answer, I told him, is nearly everything. I then explained that dairy farmers are affected by all policies that impact business, food, and the environment, which includes everything from immigration reform to taxation to foreign trade to renewable fuels and everything in between. As a mom, I'm also concerned about education, health care, and every other civil issue. On this particular trip, we spent most of our time discussing issues that will likely be voted on during this session: limits on sodium and flavored milk in school lunches, concerns regarding trade negotiations in the Trans-Pacific Partnership, and labeling of GMO foods. Does lobbying make a difference? Yesterday morning while milking, Glen asked, "So, you've had a little time to reflect on your trip. Do you think you actually made a difference?" Yes, I told him, without hesitating. Someday my senator or representative is going to need a real-life reminder of why he or she is voting for or against a bill; my visit could be that reminder.